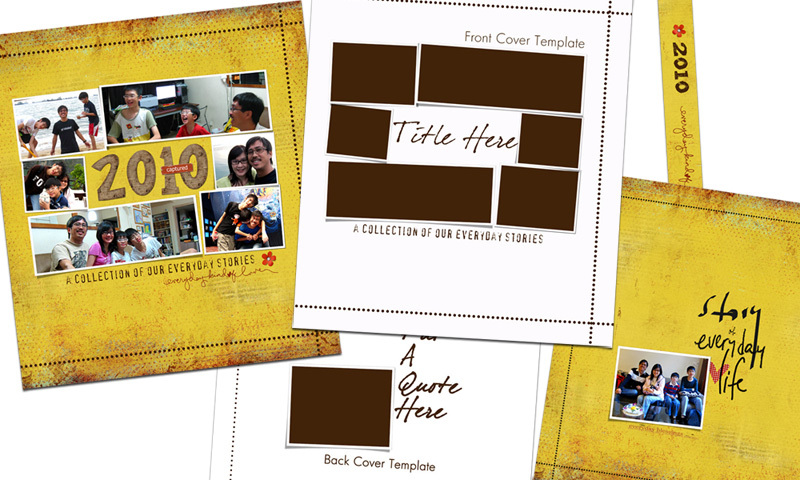 Just a short post mainly to share the Templates for the Album Covers for my 2010 Shutterfly Album as some has requested (scroll down). I just feel so good looking at all my albums, gives me every motivation to keep scrapping our days and memories! Recently I'm also very happy that I've started adding more pages that are loads of / completely journalling! Like this one I did after our General Elections a few weeks ago. This year's elections has been described as a 'watershed' election, with may Singaporeans going through a 'rite of passage' of sorts, as many of us plunuged into the politics of our country like we have never before. Because Singapore has been under one party rule since Independence, and in the past elections were mainly walkover affairs by the ruling party. This year, with much stronger opposition and their honest & well-articulated call for needed change, the voice of the people have been heard loud and clear. We've seen a lot of change in the past two weeks especially in the appointments of cabinet ministers and looks like a lot more change will come. Quite something for us, and definitely much to commit to the Lord in prayer, to many of us who have been praying, He has indeed been guiding the happenings in this period! Well, I captured my thoughts and reflections in a page, to go into my album, it's a new experience to have no photos, (more embellishments though) but so good to have these captured. 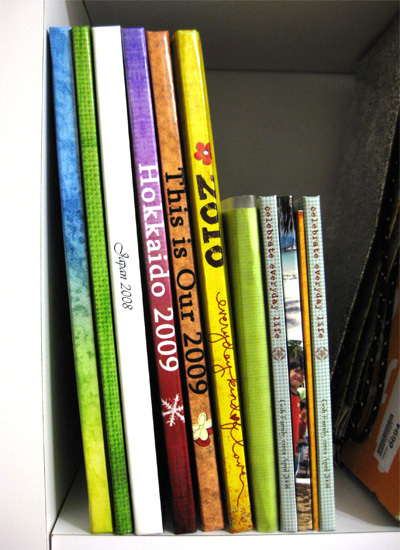 Have you done any or many pages with no photos for your scrapbooks? 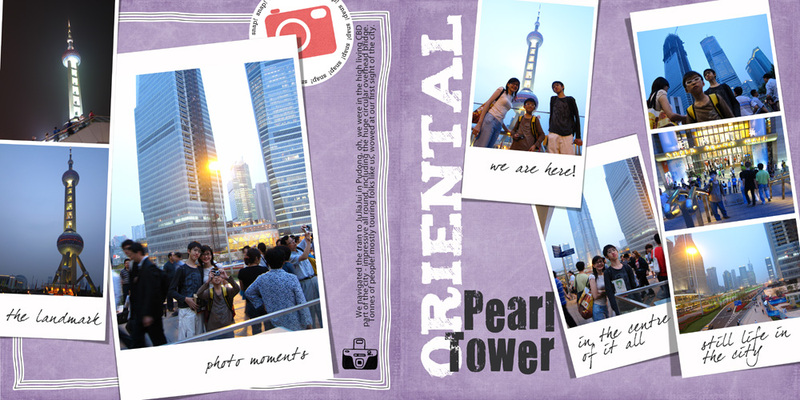 I have only completed two other layouts for our Shanghai trip, but I like them a lot! 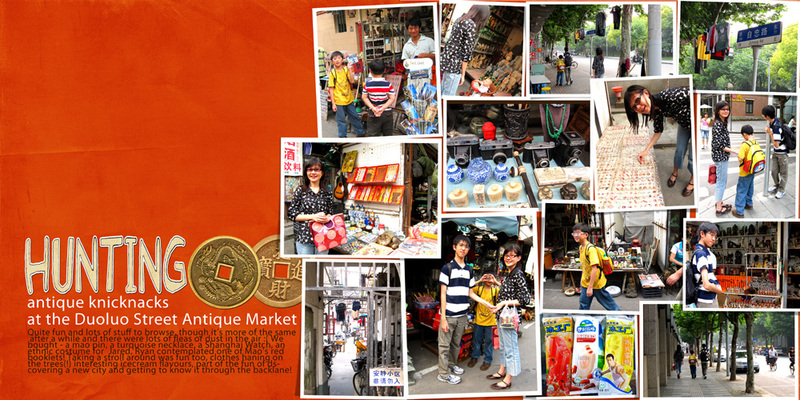 This layout was probably on the second day after our arrival in Shanghai, where we went to visit a flea market of sorts. 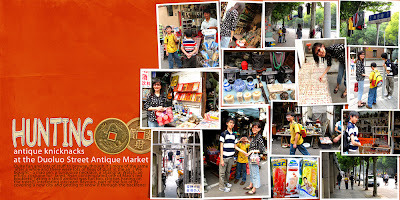 Full of old and antique trinkets, including Mao pins, Mao's little red book, and lots of other chinese knickknacks - very colorful and loads of fun! The next layout is of us milling around the Oriental Pearl Tower, a landmark of Shanghai, which has now been overtaken by many super sky-high scrappers around it, at the spanking new and impressive business and hotel area of JuJiaJui. What a bustling and huge place! Ok, I've saved the templates I used for my 2010 album, for printing with Shutterfly, according to their dimensions for a 12X12 album. If you want to use it for 8X8 album, you'll need to adjust the size accordingly. Please review the dimensions on Shutterfly's Guides Here. Thank you so much for this post. I want to let you know that I posted a link to your blog in CBH Digital Scrapbooking Freebies, under the Page 6 post on May. 26, 2011. Thanks again. Thanks for sharing, Yin. Isn't Shutterfly the best? I love all the promotions they run and it looks like you do too! Your projects came out beautifully! Thanks again for sharing. Thank you for your generosity. I am new to digital and it is slow going so haven't done many pages but have lots of your templates. Thanks for the inspiration. Thank you for your generosity! I've downloaded a couple of your past freebies and since we just got back from Disney with a million photos, I'm planning on making a SF album myself and I love how your LOs feature the photos. So now I've purchased several from your store to get me started! Thank you for all the inspiration and the templates! Thank you for the templates! I've always had a little trouble getting my spine just right. I've been without a computer for over a month so I'm so excited to get back to work on my digi scrapbooks. I've completed a few using mostly your templates (both free & purchased). I love how you add so many pictures because I love taking pictures!! Makes scrapping much easier...thanks!! Glad to find this blog! Thank you for templates. I am making a book for my granddaughter! Hi, Yin. I use Shutterfly too but the site auto-crops my images into rectangular shape once I upload. Do you have any shortcut or do you have to do this removal process too?